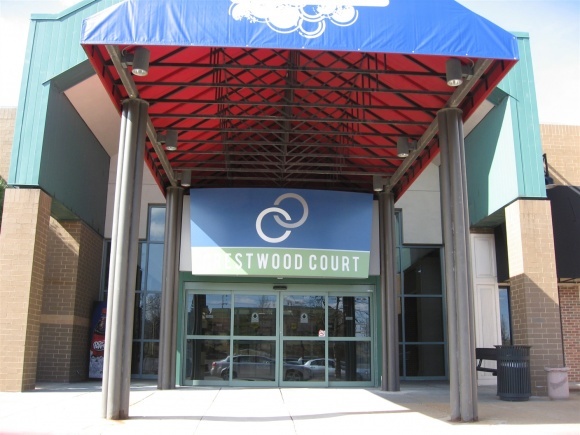 A few weeks ago, Crestwood Court, a super-regional enclosed shopping mall located in southwest-suburban St. Louis, kicked most of its tenants out amid speculation of forthcoming redevelopment, which has been on hold for several years due to the sluggish economy. 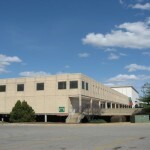 Crestwood Court’s latest blow is part of a series of problems for the mall, which opened as a 550,000 square-foot, L-shaped outdoor center in 1957. 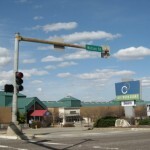 Back then, Crestwood was on the outskirts of suburban development for St. Louis. The city of St. Louis itself was a booming metropolis with over 800,000 residents, and suburban St. Louis County had half as many residents as today. 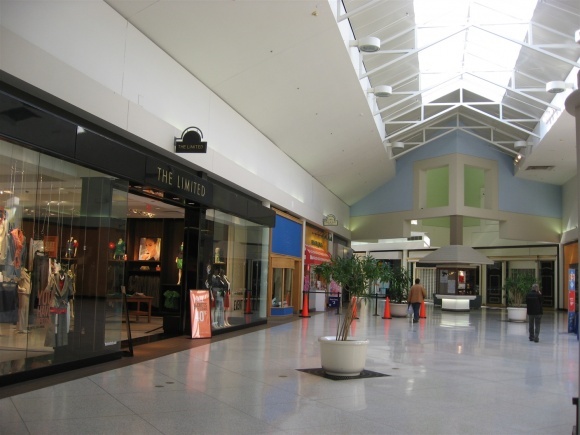 Things couldn’t have been sunnier for Crestwood Plaza, as it was officially known until the late 1990s, before a series of rebadging efforts due to new ownership changed it to Westfield Shoppingtown Crestwood and, finally, Crestwood Court. For our purposes, we’ll just stick with the name Crestwood. 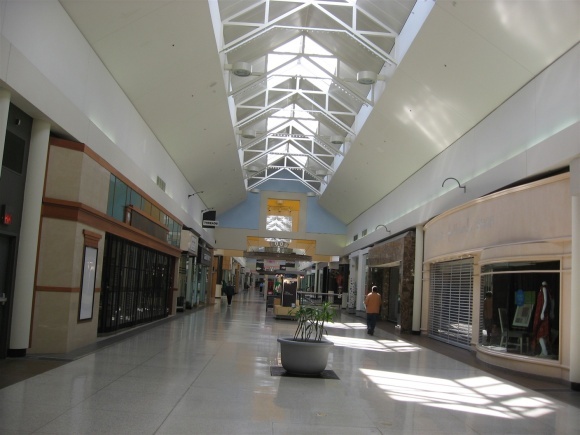 Since Crestwood opened 55 years ago, times have changed, shopping patterns have changed, and so too have the dynamics of retail in general. When Crestwood opened, it was located on the precipice of newer developments heading westward from the city of St. Louis. In fact, Crestwood was once located directly on the famous and storied Chicago-to-Los-Angeles Route 66 until the section from Chicago to Joplin, Missouri was decommissioned in favor of Interstates 44 and 55 in 1979. Over time, Crestwood’s location turned from a boon in its favor to an Achilles’ Heel, as it went from having prime Route 66 frontage to being located on a regional secondary side road. 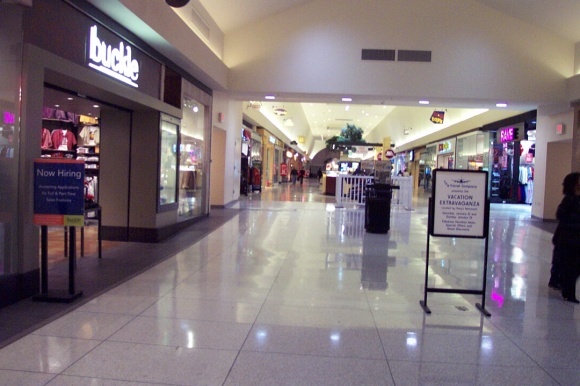 And, unlike several other successful St. Louis-area shopping centers like the Galleria, South County Center, Chesterfield Mall, West County Center, St. Clair Square and Mid Rivers Mall, Crestwood did not have direct access from the Interstate system. 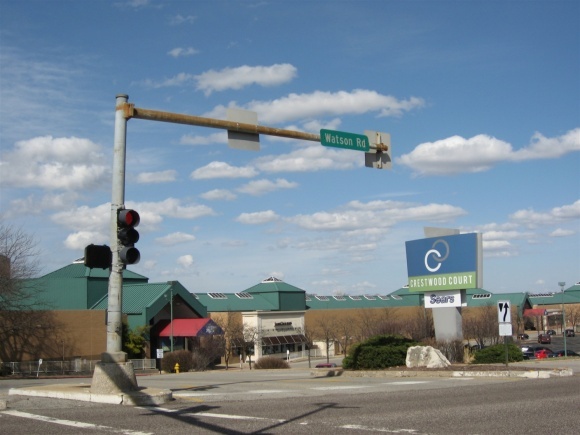 Despite being a mile from Interstates 44 and 270, the exits to access the mall involve making several awkward turns and going through busy intersections. 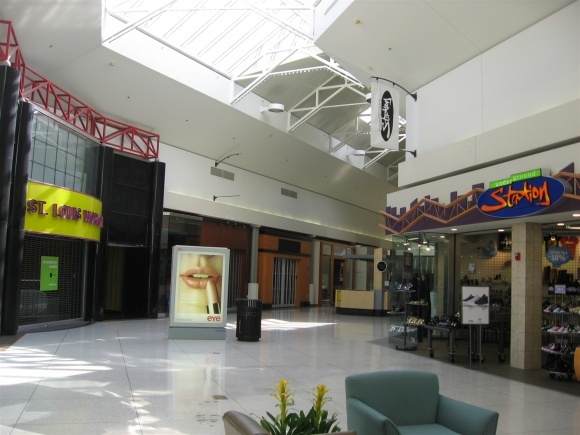 Crestwood was also a pioneer, establishing retail history firsts for both the St. Louis region as well as trendsetting innovations for retail site design nationwide. 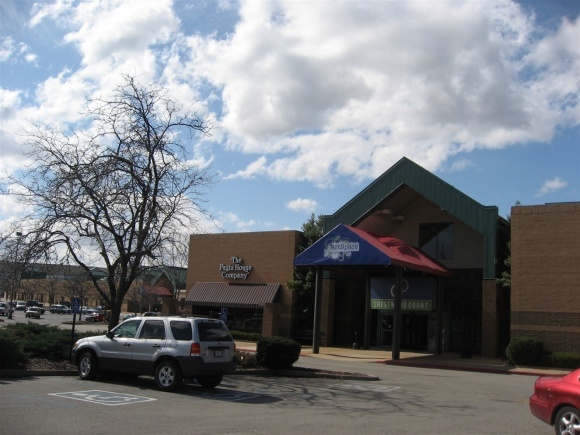 Designed by regional shopping center pioneer Louis Zorensky, Crestwood was the first truly regional mall in the St. Louis area, and also one of the first of such centers with more than one major anchor. 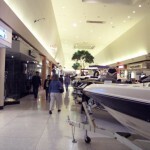 Both Sears and St. Louis-based Scruggs-Vandervoort-Barney anchored the mall, opening in 1957 and 1958, respectively. 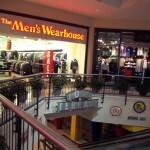 A smaller Woolworth also operated on the south end of the center. It was previously thought in shopping center design school that two anchors in the same mall would hurt, rather than complement, each other. 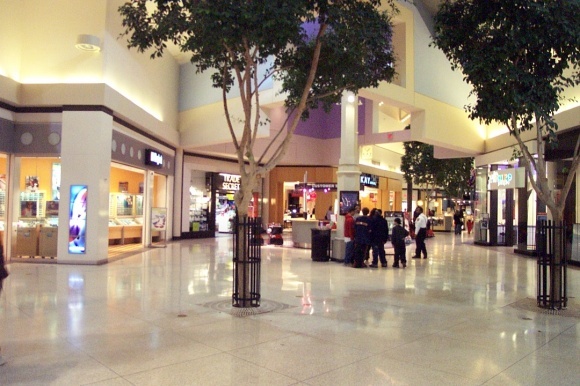 Zorensky’s Crestwood proved that this was not the case, as the mall had instant success with two competing anchors. 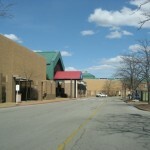 In addition, Crestwood was the first mall with a split-level parking lot, providing access to both levels of the mall. 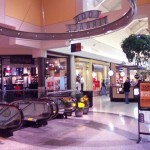 Interestingly, Zorensky went on to build a bigger and better shopping center in St. Louis. 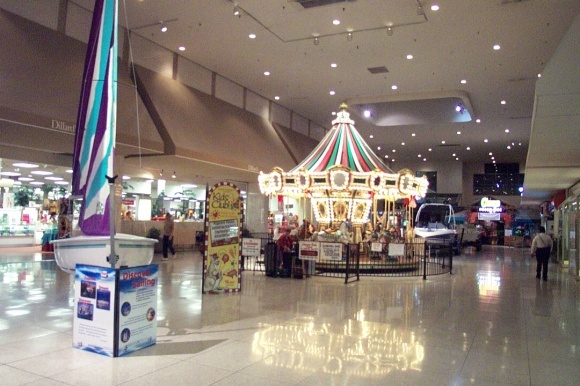 When it opened in 1963, Northwest Plaza was the largest shopping center in the world. It was finally enclosed in the 1990s, and enjoyed success until around 2000 when it began to slide downhill, eventually closing in 2010. 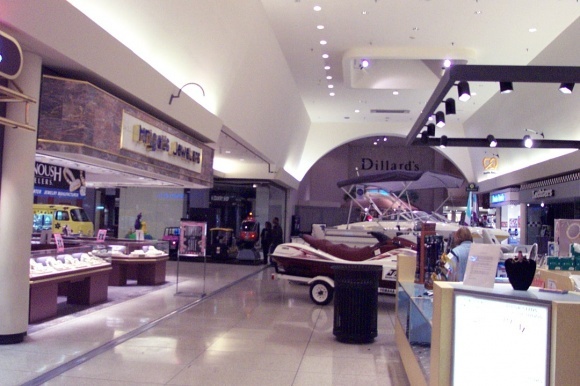 Crestwood’s first expansion in 1967 brought a third anchor and a new enclosed retail corridor, featuring St. Louis-based Stix Baer & Fuller, on the mall’s eastern end. 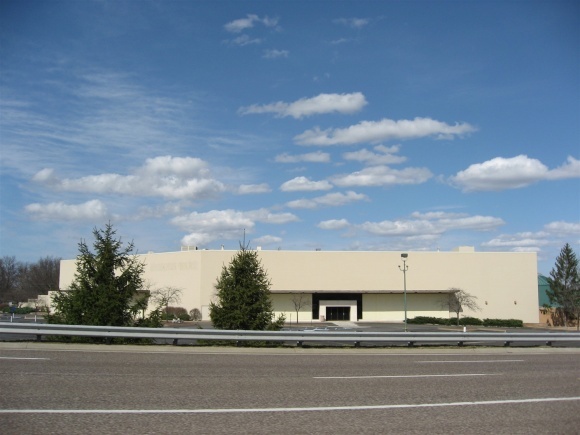 Then, in 1969, St. Louis-based Famous-Barr purchased Vandervoort’s, bringing its venerable name into the Crestwood mix. 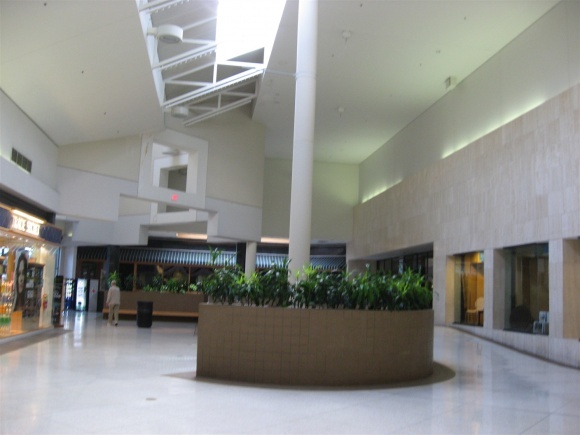 Meanwhile, in the 1960s and 1970s, St. Louis-area retail developers were busy at work building many new super-regional malls across the metropolitan area, providing competition to Crestwood. 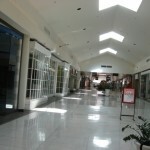 However, Crestwood held its own against these new malls for decades. 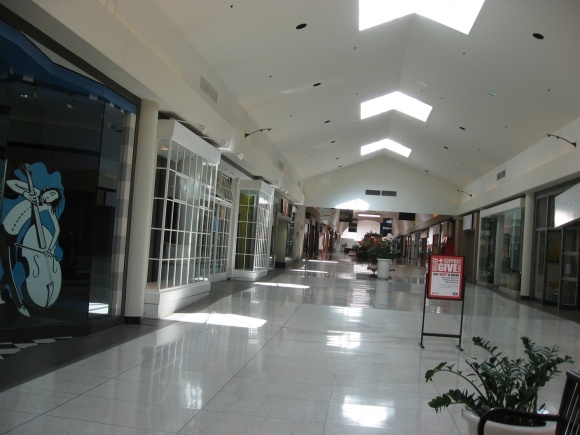 In 1984, the entirety of Crestwood was fully enclosed due to pressures from competition as well as consumer trends. 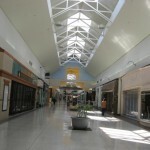 Competition included three nearby super-regional malls within 15 minutes: West County Center, South County Center, and Chesterfield Mall. 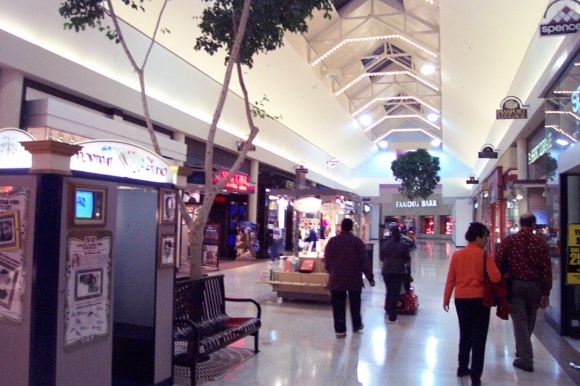 A fourth super-regional mall, St. Louis Galleria, opened in 1986 just 5 miles away from Crestwood, in Richmond Heights, expanding to become the best mall in St. Louis by the early 1990s. 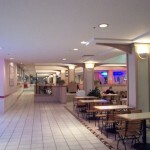 During the 1984 enclosure a basement food court and 5-screen cinema were added to Crestwood between Sears and Famous-Barr, and the short Woolworths wing was demolished and replaced by parking. 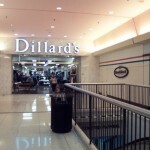 That same year, the Stix chain was purchased by Dillard’s and converted. 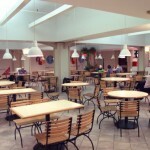 The food court was a pretty neat design feature at Crestwood. 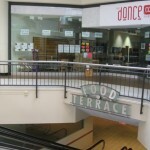 Entrance to the basement food court was accessed via escalators and stairways which went perpendicular from the main mall corridor into the food court area, giving it the vibe of a secret underground space. 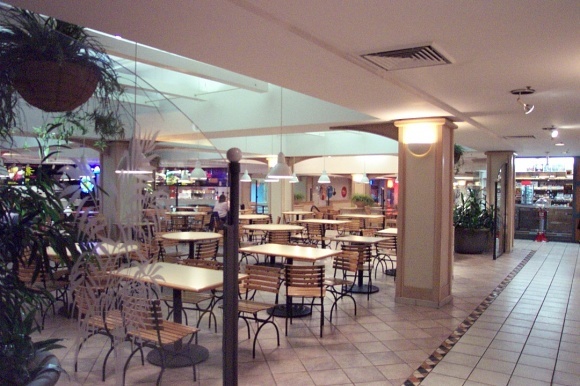 The food court, which was gigantic, also had a direct exit to the back of the mall, which is at the same grade. 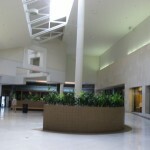 It was one of the mall’s best design features, in addition to the fact that the mall seemed to wrap around Sears on three sides. 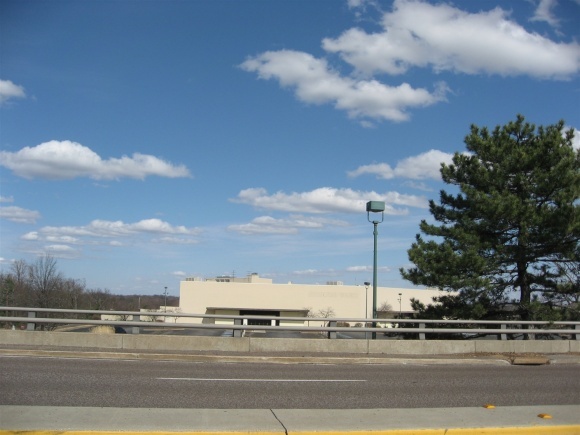 Also, the entire mall is cantilevered over a road which leads to the back of the mall between Sears and the former Dillard’s store. Pretty cool? 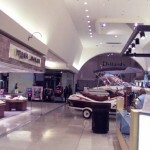 Another neat design feature was added in 1992, with the addition of a second cinema behind Dillard’s, (the one in the food court closed soon after and was replaced by an arcade) as well as a short mall corridor expansion which went up and over the top of Dillard’s, resulting in Dillard’s having two separate mall entrances. 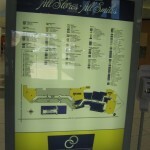 After all was said and done, the mall felt even bigger than it was due to all of these features. 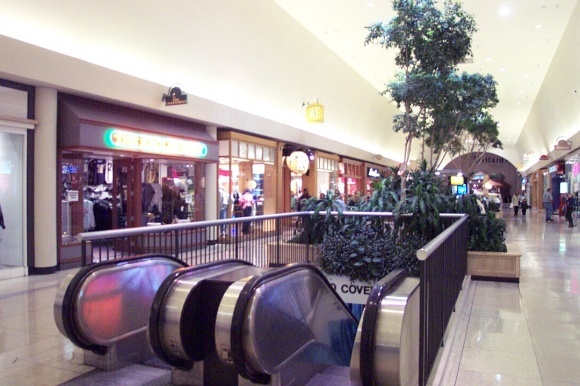 Crestwood continued to hold its own into the 1990s, even as St. Louis Galleria captured the nuanced glitz and glamor of the St. Louis-area retail scene. 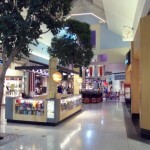 Crestwood was purchased in 1998 along with several other St. Louis-area centers by Australian mall magnate Westfield. 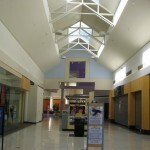 Crestwood was never marketed as upscale, and was always a mid-level everyday suburban shopping mall. 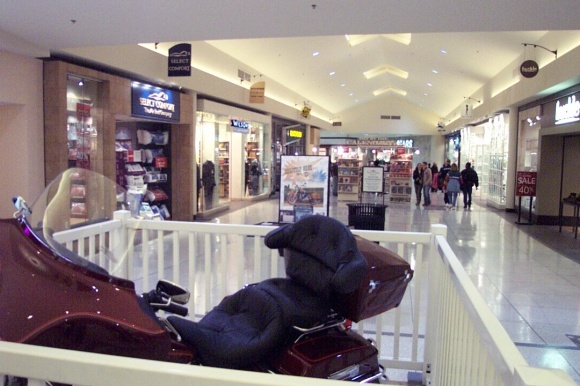 This positioning, which continued during the Westfield-owned years, combined with even more competition and a changing retail marketplace in the 2000s led to Crestwood’s eventual demise. 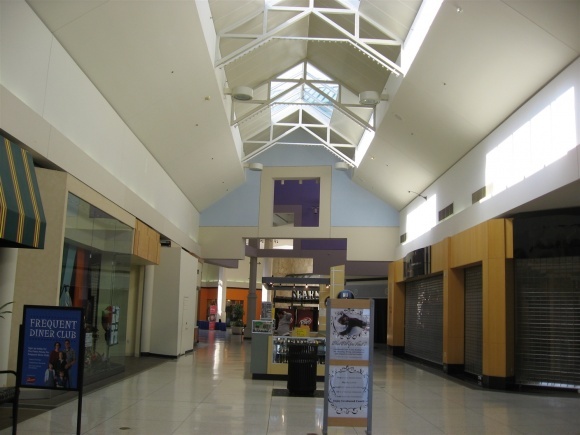 While other nearby centers underwent continuous expansions and renovations, Crestwood did nothing to differentiate itself from its competition and, combined with its less-than-ideal location, proved to be too much to overcome. 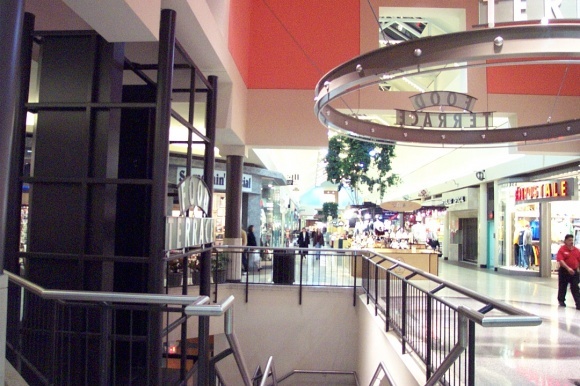 In 2000, nearby West County Center embarked on a massive renovation and expansion project, demolishing the entire existing mall except for JCPenney (which was extensively remodeled), adding Nordstrom, Lord and Taylor, a food court, and numerous parking structures. 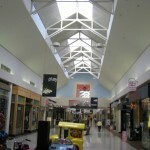 When the practically brand new mall opened in 2002, it was double the size of the original mall and noticeably more upscale, reflecting the high incomes of its neighboring suburbs. 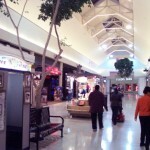 Crestwood was an aging 1980s mall by that time, and took a major hit from this new competition. 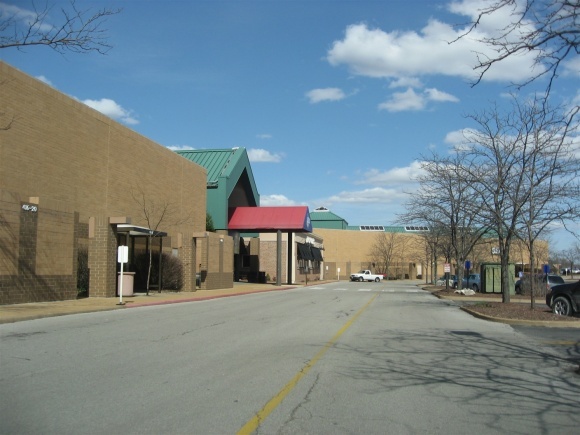 In addition to that, South County Center, which is the same distance from Crestwood as West County Center but in the other direction, began its own renovation and expansion project in 2000, adding a new two-level southwest wing and a giant Sears store. This repositioning solidified South County’s place on the map. 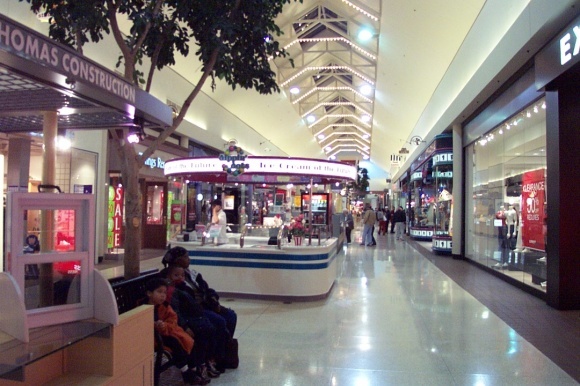 South County is the most convenient mall to south St. Louis city, as well as the corridor of suburbs along I-55 heading south and also to nearby Illinois suburbs across the Mississippi River. 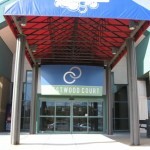 It wasn’t long after the West County and South County renovations before signs of failure began to appear at Crestwood. 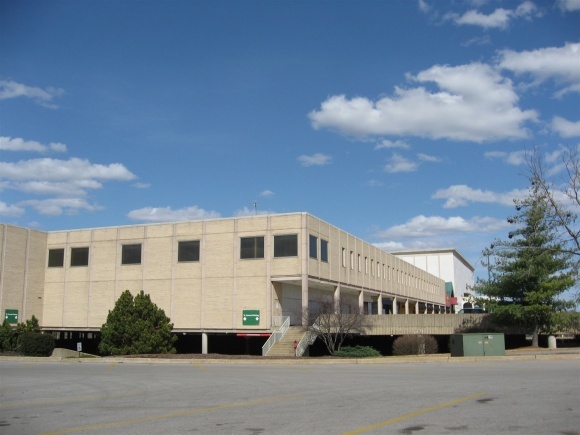 The aging center was poorly located, hemmed in between better and glitzier malls as well as lacking direct freeway access from I-270 or I-44. 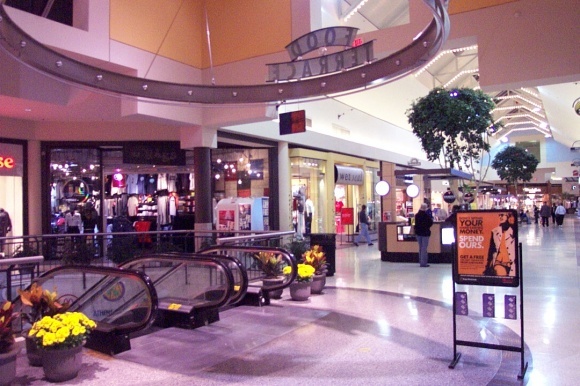 A 2003 crawl on the Wayback Machine indicated a healthy mix of stores at Crestwood, though it wasn’t long before these stores began to slowly disappear. 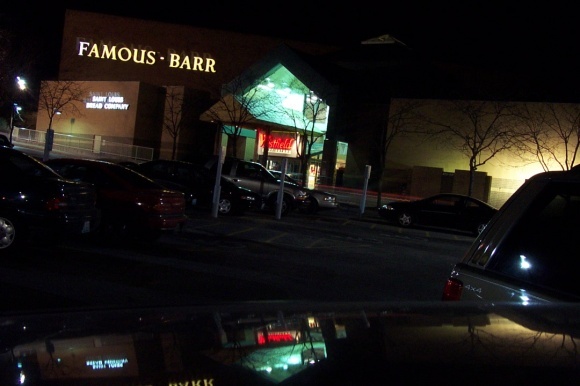 In 2005, Famous-Barr considered closing their Crestwood location and moving to a newer lifestyle center development called MainStreet at Sunset, located just a few miles away in the suburb of Sunset Hills at Route 30 and I-270. 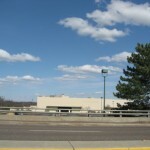 However, this development was cancelled and Famous-Barr remained open, changing to Macy’s in the Fall of 2006. 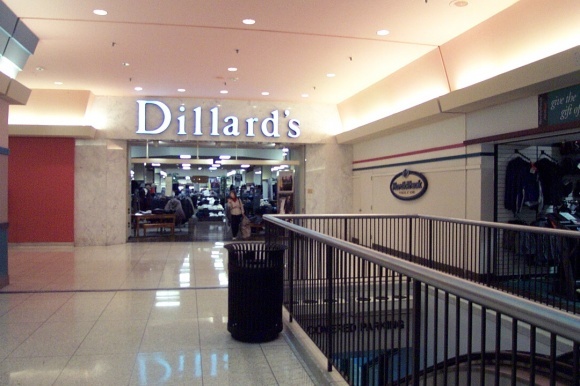 In October 2007, the aging Dillard’s store threw in the towel and closed its 240,000 square-foot mid-century modern behemoth of a store. 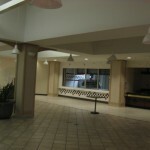 Side note: Does anyone remember the frozen-in-time Dillard’s Garden Room restaurant at Crestwood? It was obviously never renovated, and had this really old-school motif. 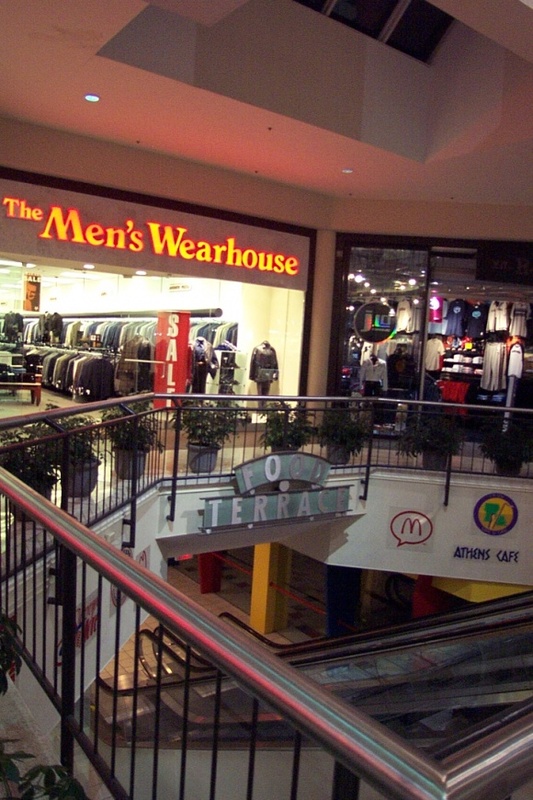 I remember walking past it not too many years before the store closed, and it instantly tunneled me back to a place in the not-so-distant-past when shopping was a more formal affair. I could just see the ladies-who-lunch crowd all done up for a day of serious 1970s shopping. I guess the Garden Room had other locations too, and were a holdover from the Stix era in St. Louis. Are any of them still open? 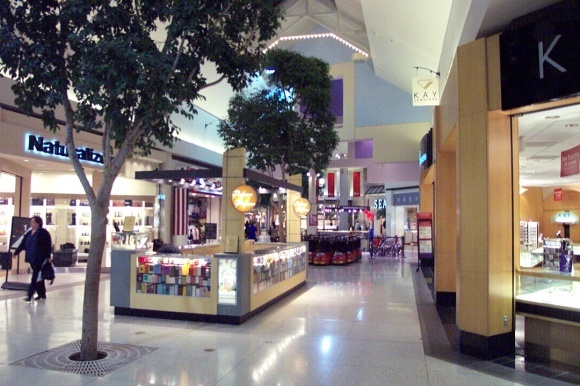 In March 2008, Westfield realized Crestwood was going downhill fast and dumped it off to Centrum Properties, a Chicago-based retail development group in partnership with investment adviser Angelo, Gordon & Co. of New York. 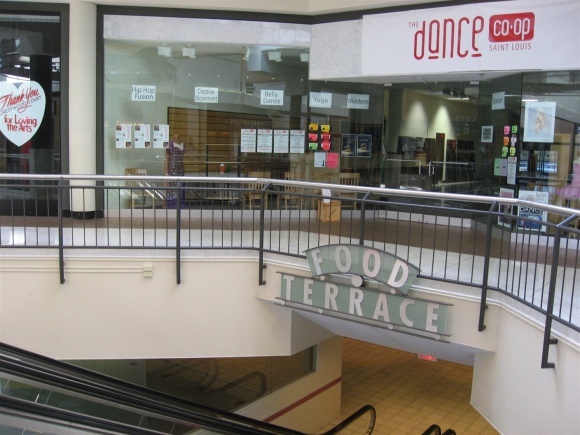 Centrum decided to rebrand the mall as an “arts space”, leasing the increasingly vacant retail stores to community arts groups, dance studios and the like, at insanely cheap below-market rents ($50-$100/month). 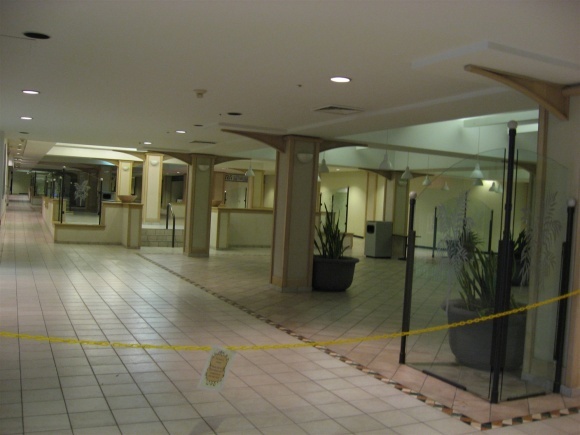 This was a novel but obviously temporary solution to the mall’s vacancy problem, like putting a band-aid on a gunshot wound, as the remaining traditional retailers flowed out of the center even faster than before. Centrum was well aware that the ArtSpace was temporary. It became an innovative solution for finding short-term leases while giving back to the community. 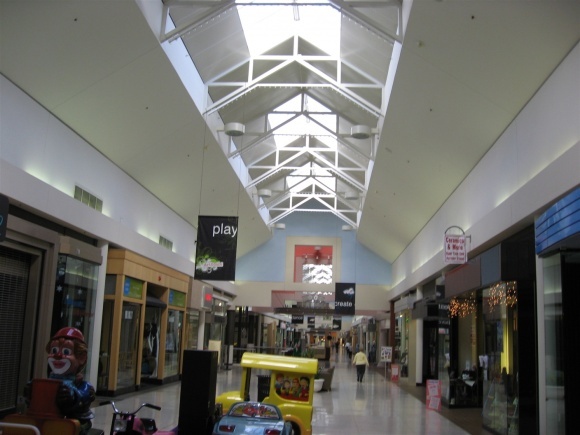 Most regular stores wouldn’t accept short-term leases, and Centrum just wanted to fill the space while the economy recovered so it could begin a larger-scale revitalization of the site. 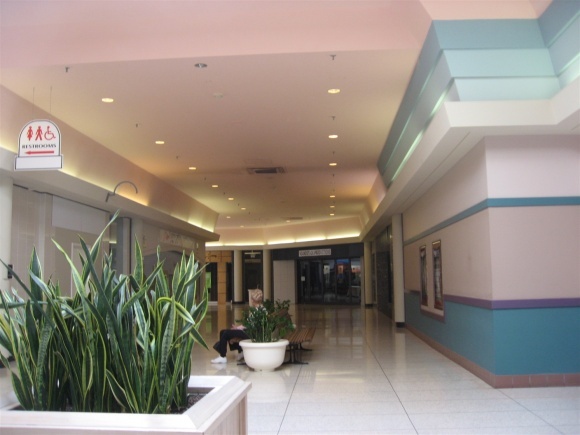 Another brutal blow for Crestwood came in 2009, when Macy’s finally called it quits and closed their store, leaving Sears as the mall’s only anchor. Meanwhile, Centrum’s ArtSpace signed upwards of 70 tenants for their experiment, providing local arts groups the opportunity for a lot of space on the cheap. 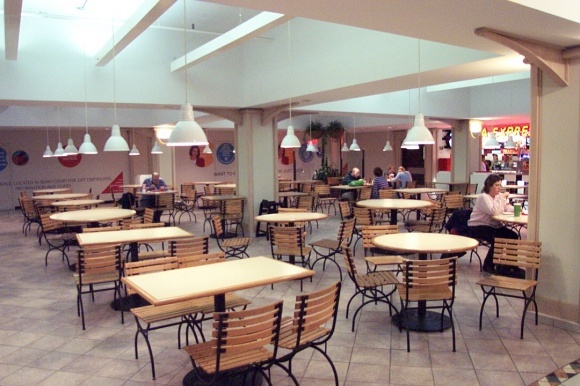 These groups were told from the beginning that this was a temporary situation while redevelopment was planned; however, the response to the experiment was phenomenal. 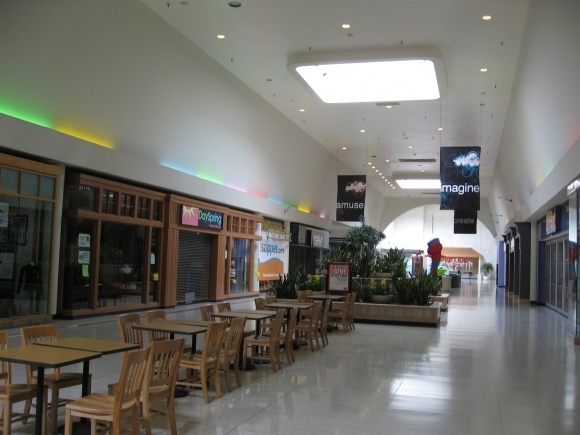 Crestwood management was quoted as saying if they got a dozen arts tenants, they would have been surprised, but having 70 and leasing out over half the mall was astounding to them. 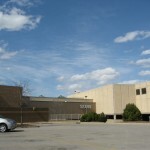 In December 2011, more bad news came from Crestwood as Sears announced it was closing its store. 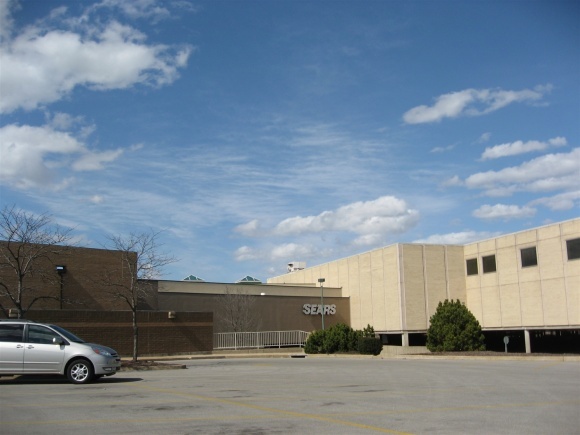 Sears is having financial difficulties of its own and has announced dozens of store closures nationwide, so it’s not crystal clear whether the Crestwood store would have been closed by a healthy company or not. 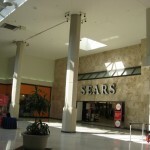 Either way, Sears’ departure was not anticipated, as redevelopment plans were to be crafted around their store. It’s not clear whether this is a good or bad thing, as perhaps being able to start over completely is a boon to revitalization. 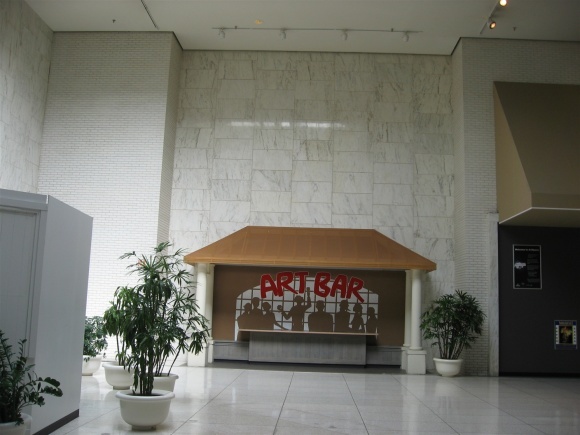 This turn of events seems to have set Centrum into motion, and in February 2012 they announced the ArtSpace tenants would have to move out, and that parts of the center would be closing permanently. 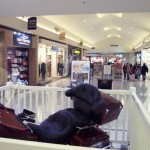 A LensCrafters store and the AMC Movie Theater are still open inside the mall, however. This appears to be the final death knell for the current incarnation of Crestwood. 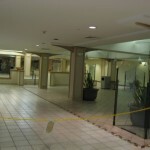 Maybe renovation plans are coming to fruition, or perhaps Centrum was losing a lot of money keeping the place open. Either way, it’s a bittersweet end to a 55-year history and a neat place. 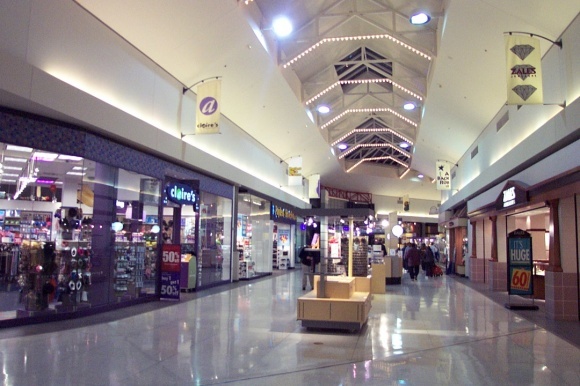 When it finally closes, it will be the fourth major mall in St. Louis to close, after River Roads in 1995, St. Louis Centre in 2006, and Northwest Plaza in 2010. 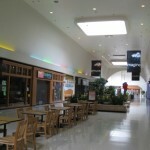 It’s not clear when Crestwood will permanently close, as the AMC Theaters and a LensCrafters store are still operating. Are any other stores still open? 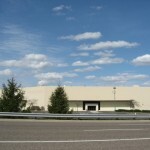 We look forward to seeing what’s in store for Crestwood’s redevelopment. Hopefully it will be something inspired, and not just some bland strip mall. 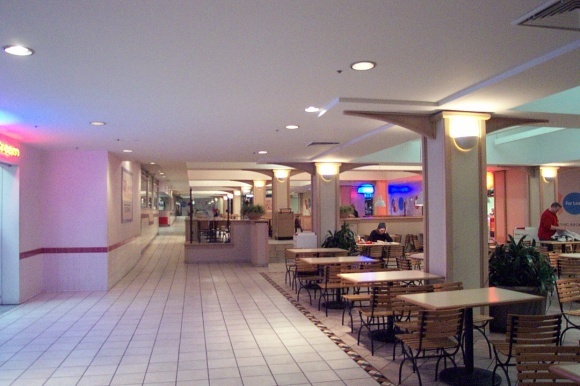 I’ve visted Crestwood many times over the past decade and a half, and watched it crumble from a perfectly viable B-tier suburban mall to a mostly empty shell. 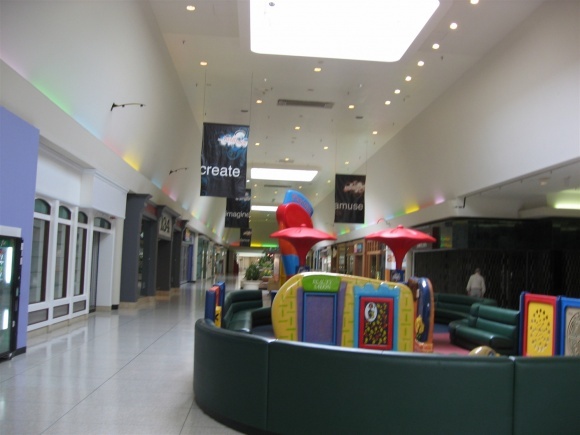 As always, please share your own stories and reactions in the comments, and let us know when the mall closes for good and what, if any, redevelopments take place on the site. The Google Maps car drove around Crestwood in 2007. If you go to the back, you can see vestiges of the original 1958 center. 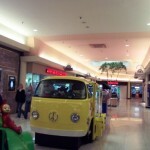 They also drove under the mall between Sears and Dillard’s, and strangely into the Dillard’s parking structure. Did they get confused? It’s amazing how fast the decline happened. 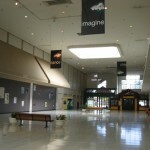 Went there in January 2005, and it was still fairly full. 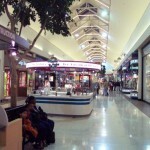 I remember when Westfield sold most of it’s St. Louis area malls to CBL & associates some years ago. I recall reading some press release stating that the ST. Louis area was not a viable market. 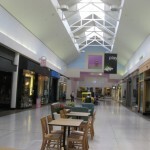 A similar statement was made by Westfield last year regarding the possible sale of 17-other malls to raise capital, but nothing has happened as of yet. The common thred is that most of these properties that Westfield currently own or have owned in the past turned out to be “B” or “C” class malls that carried higher risk & lower upside potential than the rest of their assets. Having said that, there’s a lot of interest in these properties, so we will see what happens there. I’m a bit surprised that Lenscrafters & AMC are even open at this point unless they’re just playing out the string at this point. @SEAN, I’m guessing there are leases to be honored, and the movie theater is always sort of a separate thing from a mall. Maybe people still go? @Prange Way, Yeah that makes sence. 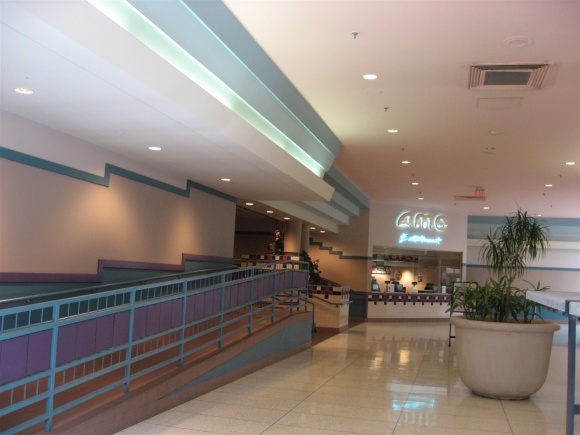 Usually when a cinema is constructed, leases are 15-years to 20-years with at least one or perhaps two 10-year options depending on the lease, landlord & or the circuit. Any idea what will be built on thesite? The theater is rumored to be closing in May. 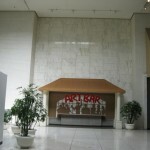 @jeff, AMC goes through cycles of building/ aquiring theatres then goes on a closing binge. 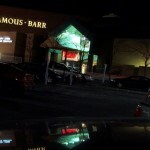 I guess it would be reasonable for them to close this theatre since Crestwood Court for all practicle purpuses is dead. I should note that other circuits in there own way do the same thing, but with AMC it’s more noticeable do to the size of recent transactions including General Cinema in 2002 & Loews Cineplex in 2006. Love the VERY old style Sears interior Labelscar. 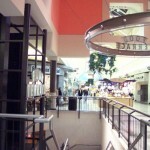 This looks like a pretty cool mall, sad to see it go. 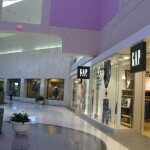 It’s not difficult to fi d shopping centers with more than one anchor before Crestwood. Park Forest in the Chicago(early 50s) area had Goldblatt’s & Marshall Field’s ( a truly odd couple). 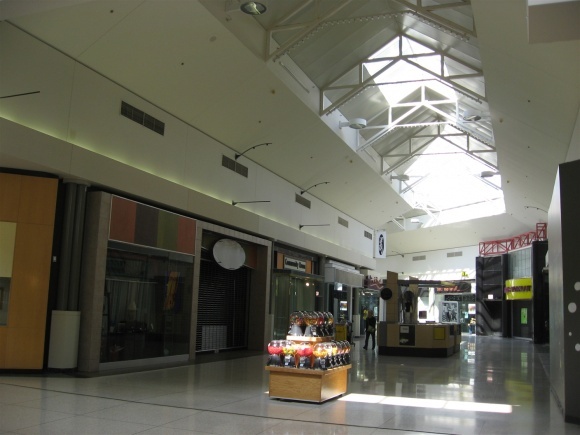 Cleveland had Southgate (c. 1955) with Sears and Taylor’s and a JC Penney big enough to survive as a department store when Penney’s went beyond its dry goods selections. 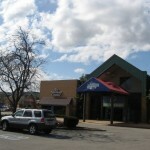 The 1954 Westgate also in the Cleveland area opened with Halle’s and Federal’s. 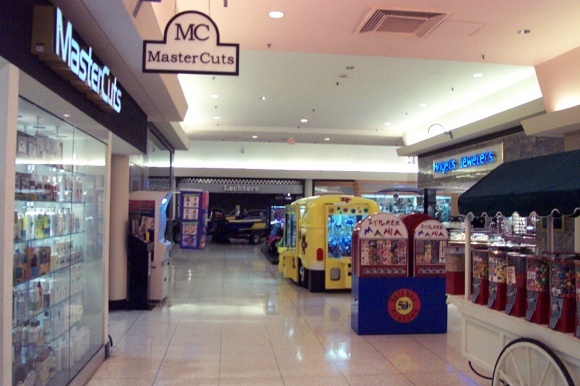 Early shopping centers often had multiple junior anchors. 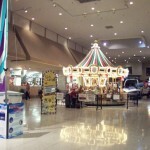 The larger ones usually had 2 or more supermarkets, one or more variety stores and often small JC Penney stores (usually replaced by later mall stores). 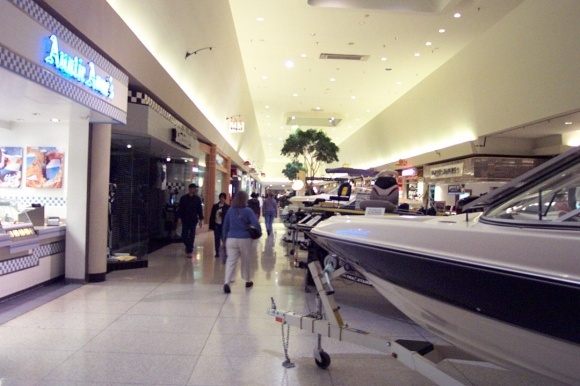 Even if the departments store was the main draw, the centers were assembled with national chains like Bonds, and junior anchors to draw awide variety of shoppers. And let’s not forget Park Forest Plaza in Park Forest, IL (south of Chicago) starting with Marshall Field & Company and Goldblatt’s in 1949-50. 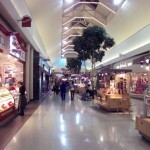 Goldblatt’s was the lowest of the department store pecking order, and Field’s was the highest around the area. Didn’t see your bit about Park Forest until I posted. I would guess that Field’s could be compatible with Goldblatt’s there as they never really directly competed. 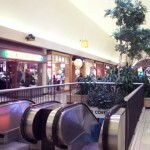 Goldblatt’s was more of a competitor with Sears and Ward’s locally, and Field’s competed more with Carson Pirie Scott. 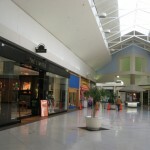 In fact, Carson’s and Field’s never shared a mall together until the opening of Orland Square. Yikes, I knew that the Sears departure would leave this to die. Since both this and Northwest closed less than five years after Westfield dumped them, Westfield really did kill the pair, didn’t they? 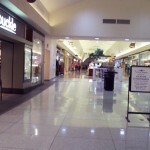 @Pseudo3D, As I posted above, Westfield got out of the St. Louis market because their malls weren’t as profitable as compared with stronger regions like NYC, Chicago or L.A. Also having a powerhouse mall like St. Louis Galleria in your backyard doesn’t help when you are trying to atract well heeled shoppers & you aren’t able to do it effectively. Crestwood, Northwest, Mid Rivers, Chesterfield, West County, and South County. I think they over did themselves and competed with themselves. Had they only South County, West County, and Mid Rivers, the St Louis market would’ve been just fine for them. 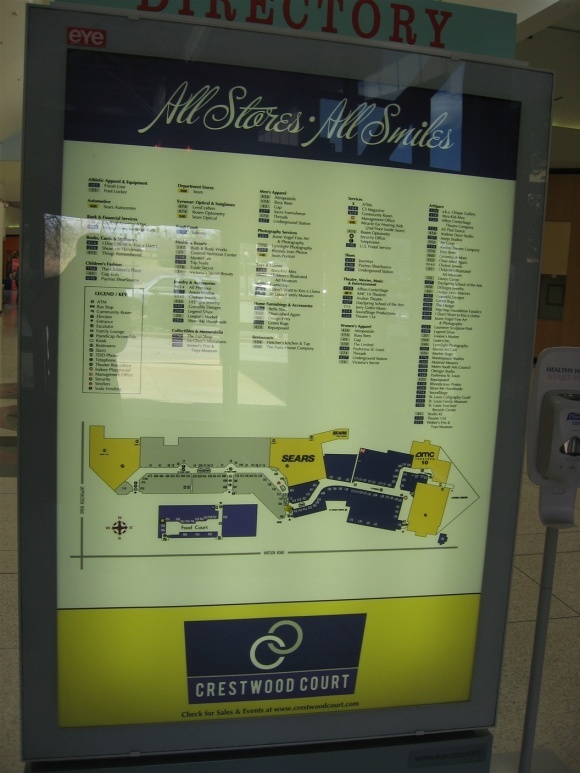 Plus, changing the name the “Westfield Shoppingtown [blank]” is just stupid. No one gives a rat’s tail end that they’re “Westfield”. @Brandon, I cant disagree since all of them were mid-tier properties in a metro area that is somewhere around 2.3-Million residents? Figgures came from an old May Department stores annual report I read & ajusted them to reflect them today. 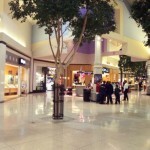 You are right, as To the average shopper it doesn’t matter who owns what mall, but here on this blog it is interesting to see the landscape of ownership. 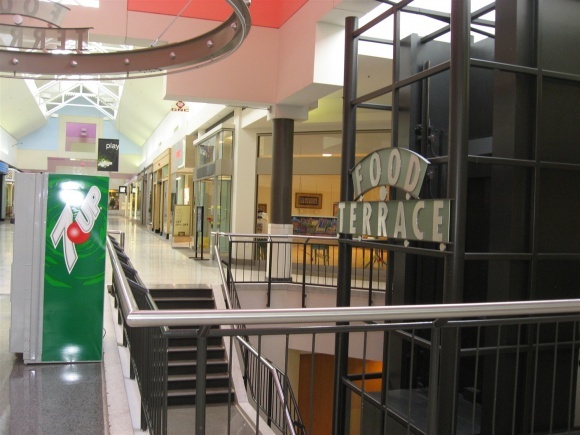 As for Westfield’s overbranding with the shoppingtown name, it was a complete missfire on them & within a short time the extra wording was removed from all media & signage. The oversaturation probably confused consumers and cannibalized the sales of the four. 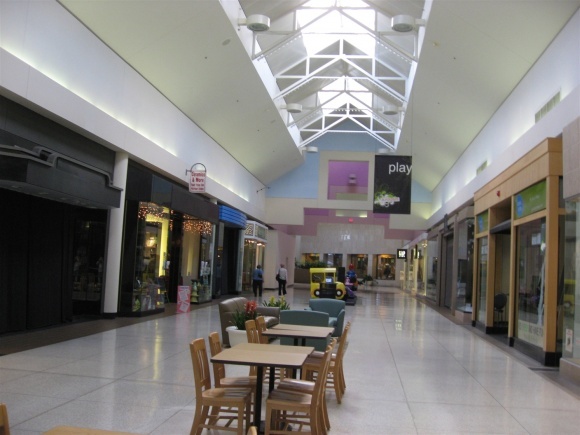 Plus we know that Westfield did not pay equal attention to the four: West County was rebuilt, South County got an extensive renovation, and Crestwood and Northwest started to die. In the photo at the top of the post, there is a traffic light poll with a street sign atached. what does it say, the text is rather small. Thanks. Watson Road. It’s the street Crestwood is on. http://www.citydata.com is an interesting web site I came across the other day. As the name suggests, you can research all kinds of information on cities across the US from income to house prices to levels of car ownership & almost anything else you could imagine. Then the 2nd photos reveled the true story in a YIKES! way. 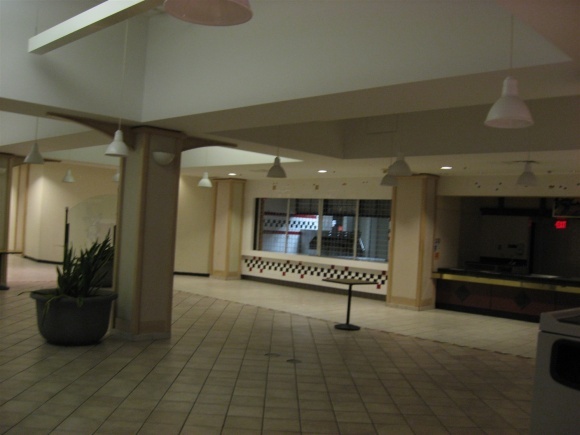 Did Stix used to have a location at the Parma mall in parma,oh? 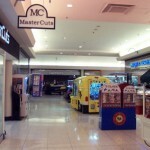 The previous store (Macys which just closed recently) has the EXACT same architecture, with the underground delivery(? )/parking structure. @Jeremy, Stix was never in the Cleveland area. 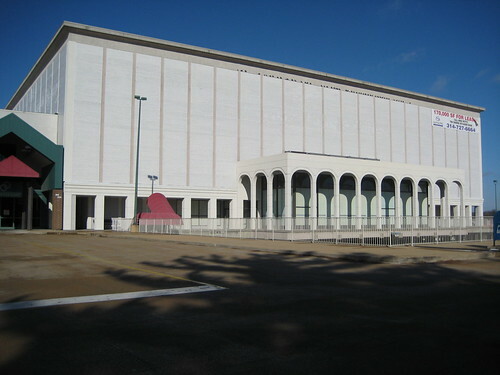 The Macy store was built as May Company’s first west side branch in 1960. Preserving St. Louis gave this post some love today! My significant other & I stopped in here in January 2010, out of a certain morbid curiosity. We thought, as an art space, it was going to be kind of neat, with actual art installations, but it was just wildly depressing. 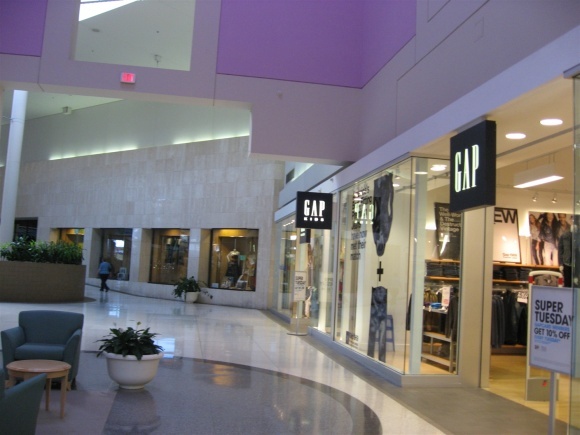 We were as shocked to find the Gap open as you are that it stayed open so long (it ended up being one of about three times we’ve ever gone shopping together). 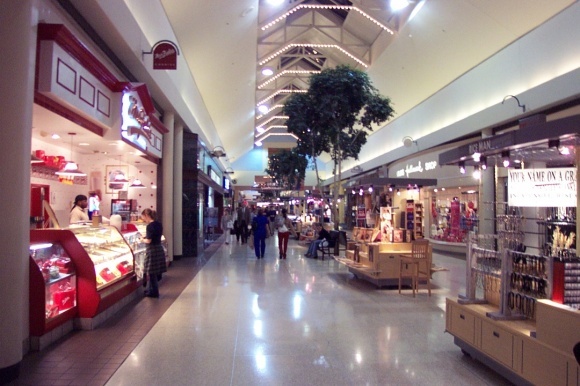 Growing up in the Metro East with a mom who was/is a serious shopper, I had St. Clair Square nearby, but we found it lacking when we wanted to do some real shopping. We went to Crestwood fairly often when I was in high school & college. We’ve been very sad to see it decline the way it has, but you’re right — it just didn’t keep up with the times. SoCo, West County & to a lesser extent Chesterfield took on major improvement projects; Crestwood was content with the status quo. We could all learn from that. 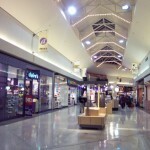 Although I lived in Kirkwood, Crestwood Mall was THE place to go. I have many fond memories, but one in particular stands above all the rest. I got to see what would be our future president, John F. Kennedy and his very stylish wife, Jackie. It was a campaign rally and the place was packed. I was in high school and my dad drove me and several girlfriends to witness this occasion. Does anyone have any photos of this? I didn’t have a camera at the time so I just have my memories. 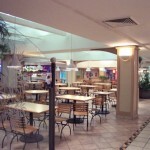 As to your question about the Garden Rooms in Dillard’s – Jamestown, NW Plaza, Crestwood and Galleria all had them (I’m not aware of one at SoCo, Chesterfield, River Roads or STL Centre). 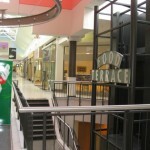 The one at NW Plaza closed around the time they enclosed the mall and Dillard’s did a major remodeling of the store. 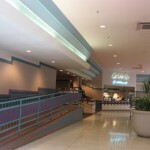 Galleria closed sometime in the mid to late 90’s if my memory is correct. 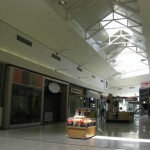 Crestwood and Jamestown stayed open until the end of the stores, which was about the same time. Thanks for the story. I spent a lot of time at Crestwood just before it really went downhill. Neat to look back on it. 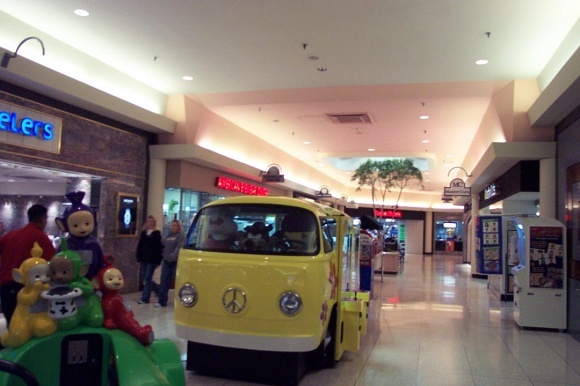 It’s funny to me that you mention it being odd to have two large Anchor stores, because The Logan Valley Mall in Altoona, Pennsylvania which traces it’s history back to 1960 as an open-air shopping center, and 1967 as a Mall has had both Sears and Penny’s since ’67-’68. with a third anchor being built later and housing a list of stores starting with Hess’s then Kaufman’s, and currently housing Macy’s. Granted, it has much less competition than described here. 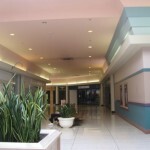 As of late September 2012 what, if any, plans have been revealed concerning the fate of Crestwood Plaza?. Does anyone know of any St Louis area site catering to the former Arts Space program? Are there any plans for such a very unique concept to take hold in the metro region?. As I understand the obvious reasons for the attempt to prosper the “creative crowd” it’s sad that such a rare opportunity for the low budget dream weavers to have an affordable opportunity for exsposure and development. A product of the 50’s and 60’s myself, I have plans to open a 50’s through 70’s cultural museum with strong emphasis on the autombiles and music of those eras. A twix between The City Museum and Cleveland’s rather lame attempt at a Rock n Roll Hall of Fame.. 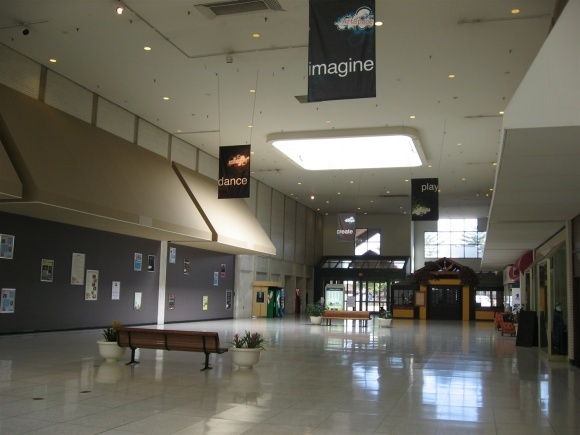 Wish I had known of the Arts Space endeavor when it was first employed. I would have jumped at the occasion. Any leads, guidance or succinct suggestions are welcomed .Not to sound apprehensive I shudder to resort to posting on Craig’s List. 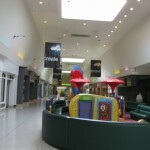 One of two mall tours. And here’s the other Crestwood Court tour. Just saw a post on Facebook’s Preserving St. Louis page. 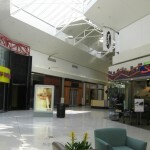 Crestwood Plaza (Court) has officially announced on its website that, on Thursday, July 11, the mall will be closed to the public. So if you want to get through the old place one last time, you have until Wednesday, July 10, at 7 PM, before the transformation to “The District at Crestwood” begins. 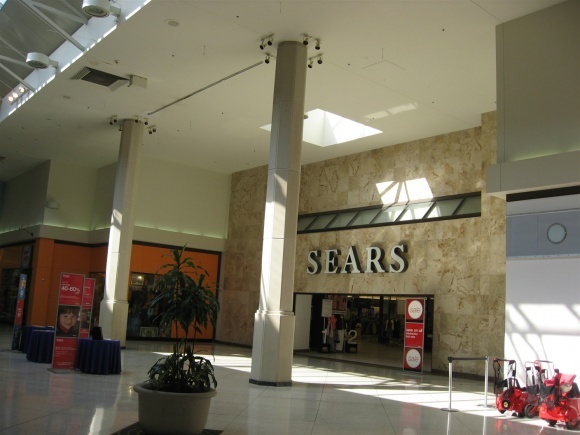 The Sears store that had been there was where my Dad took me to buy “I Want to Hold Your Hand” by The Beatles the week it came out…..I still have it.